Banking group Standard Chartered plc (LSE:STAN) has seen its share price fall around 24% today after US regulators accused the institution of hiding 60,000 secret transactions for financial institutions in Iran. 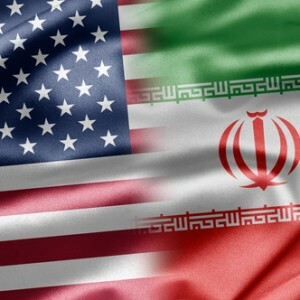 The New York State Department of Financial Services (DFS) claims that the London-listed bank designed and implemented an “elaborate scheme” to use its New York branch as a front for prohibited dealings with Iran, a country that is subject to US economic sanctions, thereby hiding Iranian financial deals. Specifically, the regulator claims that Standard Chartered laundered as much as USD250bn over almost ten years by stripping out payment data showing that the clients were Iranian, replacing it with false entries. Standard Chartered has been ordered to appear before the regulator to explain its “apparent violations of law” from 2001 to 2010. Standard Chartered has strenuously denied the allegations, announcing that it “strongly rejects the position or the portrayal of facts as set out in the order issued by the DFS”. Further, Standard Chartered said that it “does not believe the order issued by the DFS presents a full and accurate picture of the facts”. According to the bank, more than 99.9% of its transactions relating to Iran complied with the so-called U-turn regulations and the total value of transactions which did not follow the U-turn was under USD14m. U-turn transactions involve money moved for Iranian clients among non-Iranian foreign banks and cleared through the US financial system. The U-turn framework was established by the US authorities to enable ongoing US dollar trade with Iran by other countries. Standard Chartered said in a statement that it ceased all new business with Iranian customers in any currency over five years ago and is currently engaged in discussions with the relevant US agencies. “We intend to discuss these matters with the DFS and to contest their position,” the bank stated.